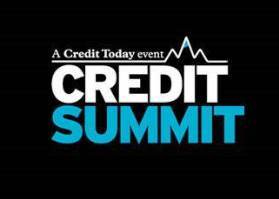 The Credit Summit, returns for its 8th year revamped and reinvigorated – don’t miss out! With an exciting conference plenary session including keynotes from the FCA, the banking sector and an economic update from Evan Davis; as well as five streams including Alternative Lending, Utilities & Telecoms, Collections & Customer Service,TCF, Conduct Risk & Compliance and Legal & Judicial Services, you’re spoilt for choice. You can find topics to cater for other sectors and interests in our masterclasses section. The event encompasses the largest exhibition and new this year is a 1-2-1 meeting hub to plan your day with key suppliers. Additionally, we are proud to announce that the FCAwill be at the exhibition providing you with many opportunities to engage in discussions on the issues plaguing you and your business. The new interactive elements to this event continues with a redeveloped social media lounge, structured speed networking and a round up at the end of the day sharing what was learnt from all streams to the whole audience. It doesn’t stop there – we end with a reveal of the Credit 100 and a networking drinks reception to give you even more opportunities to connect you with old and new contacts.